In 1995 the general plan of the municipality of Paikuse foresaw establishing a new landfill. 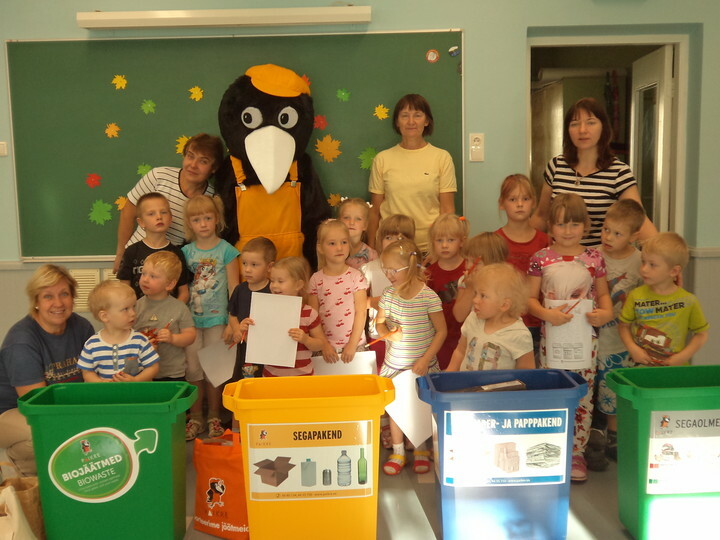 Pärnu city and Paikuse municipality created a private limited company for organizing waste management and setting up a new landfill on 8th of February 2002. Paikuse Jäätmekäitluskeskus in two equal shares was created. On Raba 39 plot was designed a sorting station and on Põlendmaa ground a new landfill. 10th of March 2006 started its operation waste sorting station at Raba 39, focused on material recycle. 11th of May 2006, OÜ Paikuse Jäätmekäitluskeskus was renamed OÜ Paikre. 12th of June 2006 a new landfill was opened in Paikuse, Põlendmaa, with a capacity to bury ca 1,5 milion tons of wastes. On the same day Rääma landfill in Pärnu stopped its operation. In 2006-2011 Rääma landfill was closed, which was in active use since 1957. The capacity of this 18 ha in size and 13 meters in depth garbage hill is ca 1,2 milion tons. In the process of closure a landfill-gas based CHP plant was built, which started electricity production on 30th of September 2011. Plant´s electricity and heat production power is accordingly 150 kW and power 180 kW. Paikre is actively developing new business lines. Paikre as a waste sector company is standing good for promoting environmental education in the county of Paikre. Accordingly to the states waste management plan the target is to recycle as much as possible, incl reuse and bury as little as possible in landfill, so that the impact to the environment would be minimal. All wastes accepted by Paikre are treated according to the requirements. OÜ Paikre owns a waste licence nr.L.JÄ/329000 valid from 05.05.2017.a.-04.05.2022 for receiving and treating wastes. Paikre cares for the environment, where we live. Peoples excessive consumption causes huge ecological problems, generating vast quantities of wastes. We are forced to deal with consequences, but it´s possible to prevent them, if people would consume thoughtfully and learn to treat wastes properly. The waste problem needs constant attention and it´s important to raise peoples awareness on that topic. Paikre supports nature friendly attitude and contributes in preserving nature and environment. We support actions that are targeted on dealing and solving the issue. Paikre OÜ cooperation partners are Pärnu city, SA Endla Teater, 2 Silla klubi. OÜ Paikre has received endorsement from KIK for implementing the project „Developing recycling of the packaging waste from Paikre sorting station“ (SFOS nr 2.1.0601.11-0055). Project total cost was 236 491.73, support sum 118 244.63 euros. 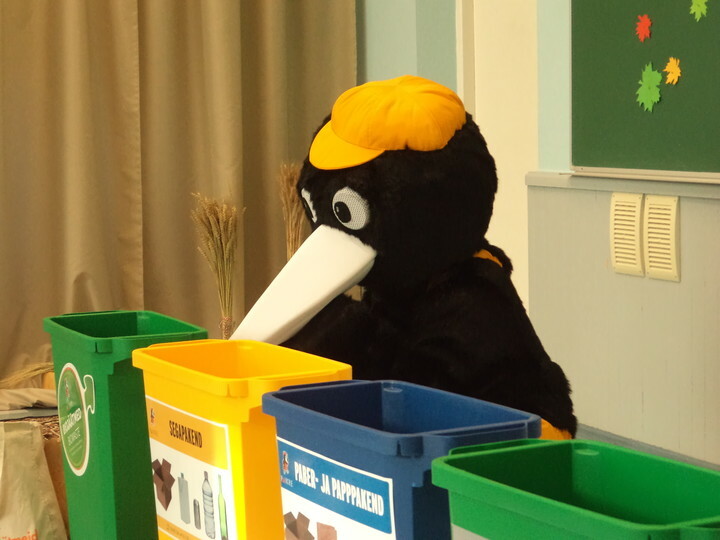 OÜ Paikre has received endorsement from KIK in 2015 in the I environmental program “Environmental awareness” for the project “The crow goes to visit” ( project nr. 9882) and the cost was 5 773.02 euros of which KIK covered 2 882.23 euros. OÜ Paikre has received endorsement from KIK in 2016 in the I environmental program ” Waste treatment” for the project “Creating a collecting point for usable material on the territory of Paikre OÜ ( project nr. 12165). Cost of the project was 7640.00 euros of which KIK covered 3654.00 euros.